Spread may be aided by bacterial enzymes and toxins. 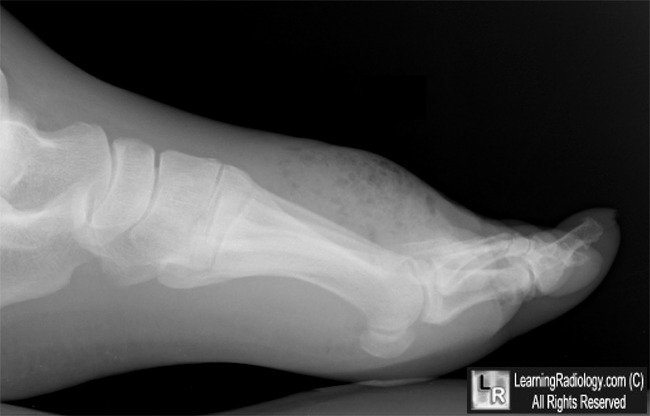 Necrotizing Fasciitis. 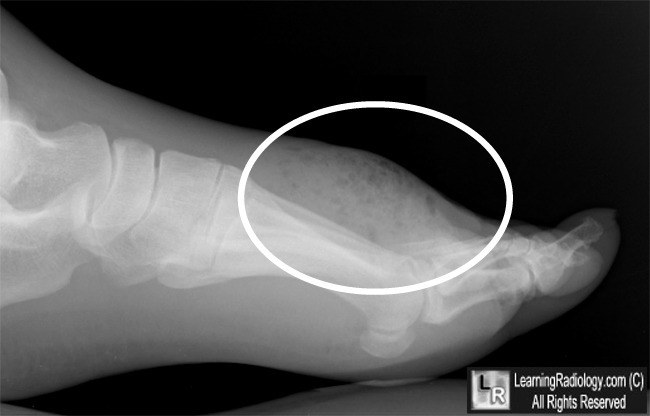 Upper:Lateral radiograph of foot showing soft tissue swelling over the dorsum of the foot with gas in the soft tissues (white oval). 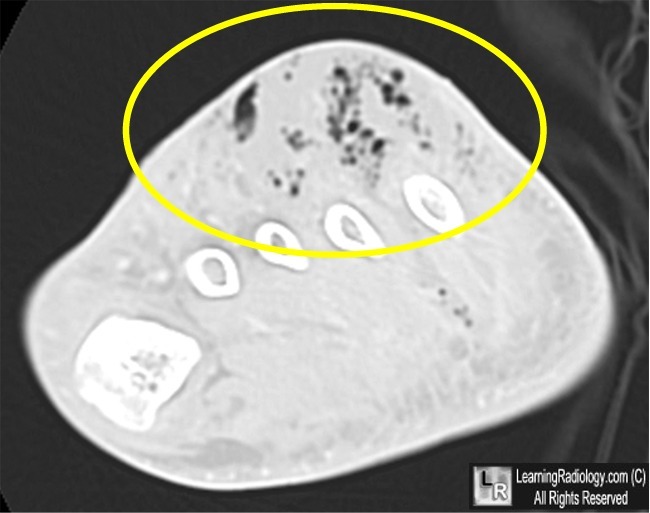 Bottom:Axial CT of same foot with gas bubbles seen throughout the soft tissues (yellow oval).